Topics: Tulsa, Searching For Property, Buyers, and Featured Listings. Its web server is located at American Registry For Internet Numbers (Virginia, Chantilly.) It has 2 DNS records, ns4.gkg.net, and ns3.gkg.net. 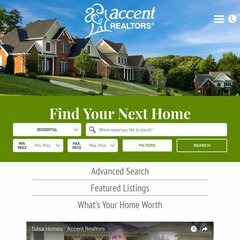 Accentrealtors.com's server IP number is 69.7.169.72. PING web10.bizsiteservice.com (69.7.169.72) 56(84) bytes of data. Pinging the server, resulted in a 43.0 ms response.